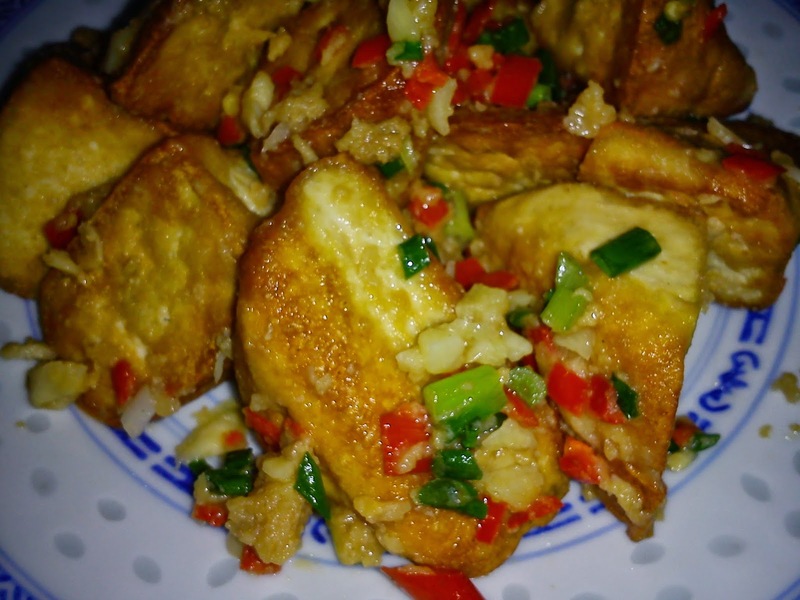 Another tasty lovely EZCR [easy Chinese recipe] dish. 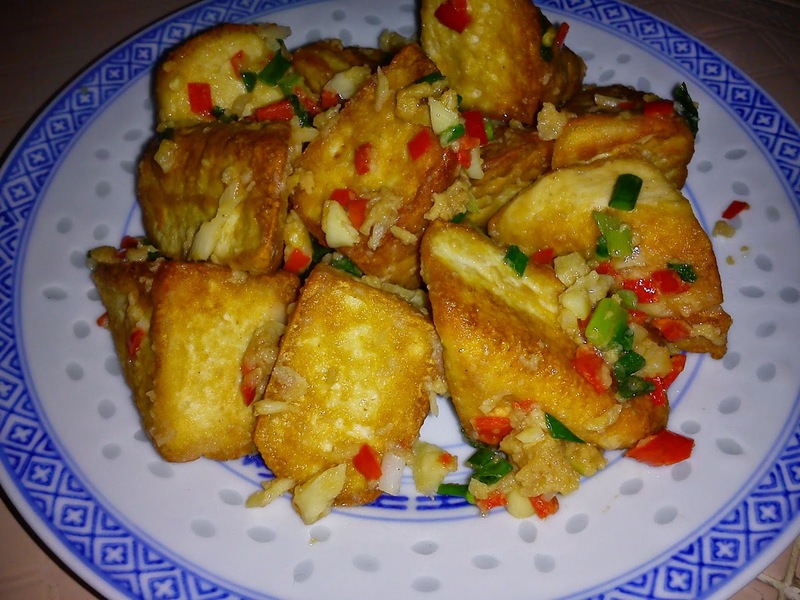 This kind of dish is light and can be considered a side dish that goes well with meaty dishes or soups and stir fry vegetables which makes the meal complete. 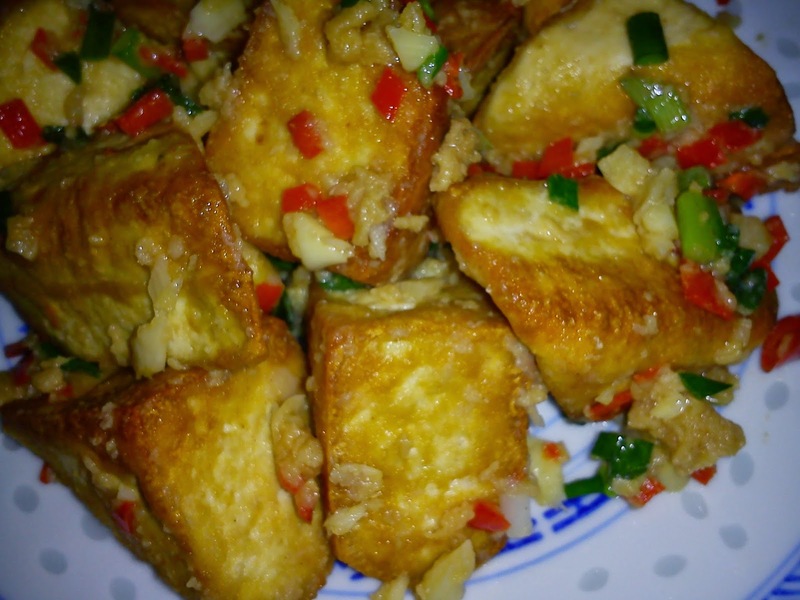 The salted fish with garlic, spring onions add tasty flavours to the crispy firm beancurd. 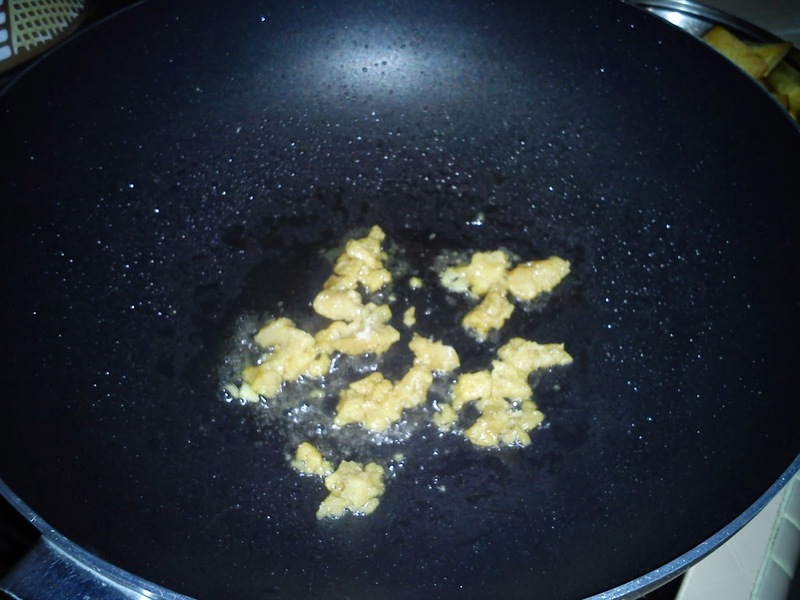 Use the remaining oil to fry salted fish until crispy, push aside and saute garlic, red chilli and some spring onions until aromatic. 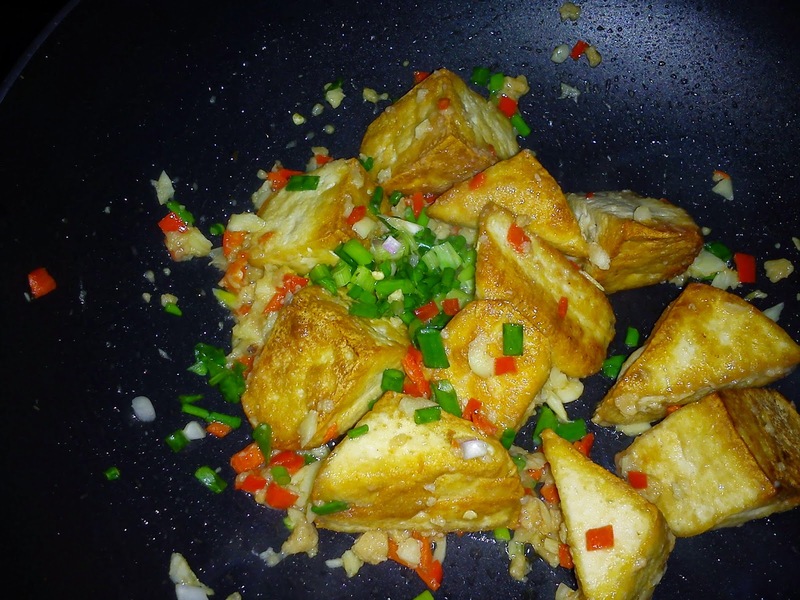 Return the fried beancurd to wok and stir fry to mix all the ingredients well. 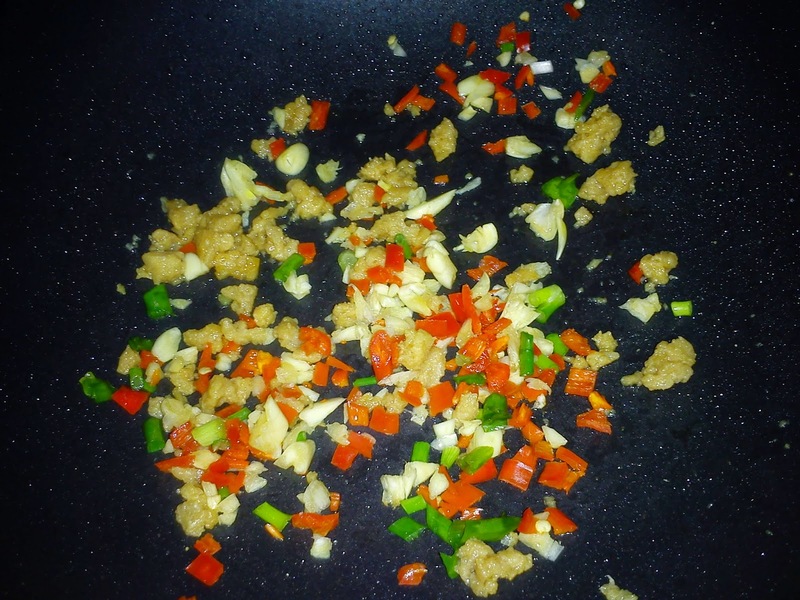 Sprinkle some chicken stock granules and pepper to taste. Lastly add in the remaining spring onions, stir to mix and dish out to serve with rice or porridge. Kimmy, I like this dish very much! I love salted fish because it is so appetizing. 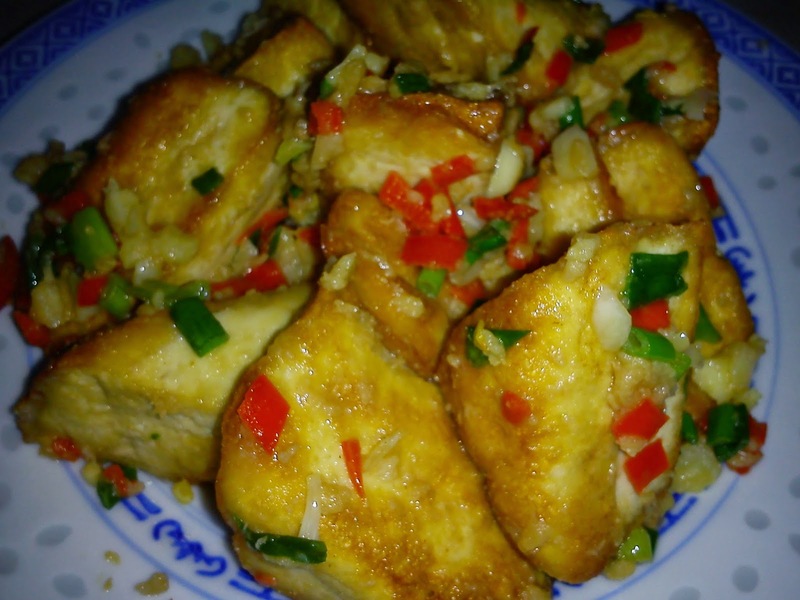 Hi Phong Hong, sometimes we thought a dish with lots of ingredients will be good but it may not be the case. An appetising dish like this is created from simple ingredients. Good with rice and porridge.